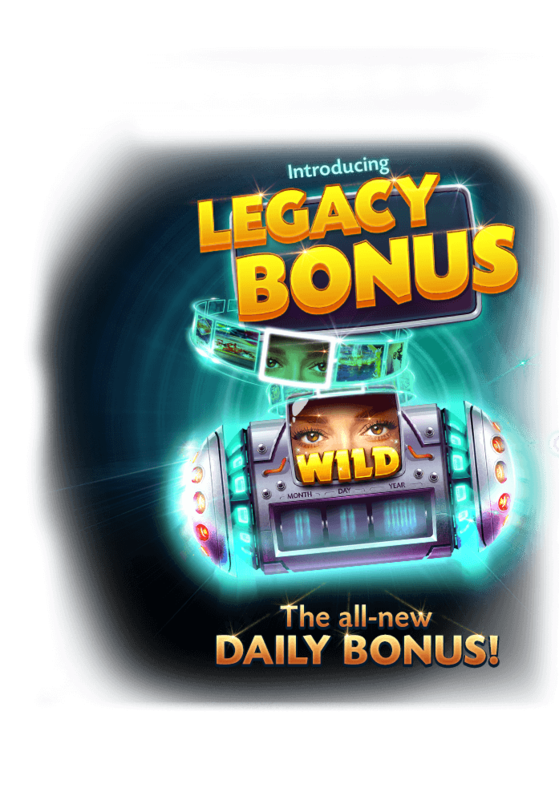 Legacy Bonus is the brand new Daily Bonus! Spin the Legacy Bonus once a day for FREE and go on a time travel journey for FREE coins. If you wish, you can spin once more for a small fee and receive a premium Legacy Bonus, offering you even MORE coins. 1. With every spin, you will receive a coin bonus reward along with a Vegas, Caesars Palace, or Caesars game historical event. 1,000,000 + 50% = 1,500,000. 2. Every event you have collected will be saved in the Gallery under its corresponding group. Each time you complete all the events of a group, you will get an extra event bonus. 1. Fortune can appear at any time to boost your bonus and act as a WILD, which will automatically improve the current sequence you achieved! 2. In case you forgot to spin your Legacy Bonus a certain day, don’t worry! You will have the option to purchase a “Fill Spin” to increase your chances for better rewards.